The futuristically designed Numarine 70 Flybridge allows more space and amenities in order to meet the owner’s every possible need. The Istanbul motor yacht builder, Numarine’s mission behind the 70 Flybridge was to create ‘a world without compromise,’ where every possible need of a person would be catered to. Recently released to an eagerly awaiting market, the 70 Flybridge stands out for its striking futuristic aesthetics. Numarine has used intricate glazing to create its rather radical design and also bathe the interiors with natural light, which wonderfully connects people inside with their surroundings. The salon is configured to allow for effortless socialising. 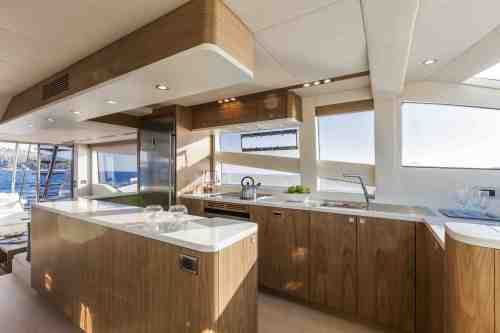 There is a half-open galley/bar, a separate dining area, a luxurious lounge and abundant fore & aft seating. The flybridge offers further seating and lounging areas, a full wet-bar as well as space for sun loungers. 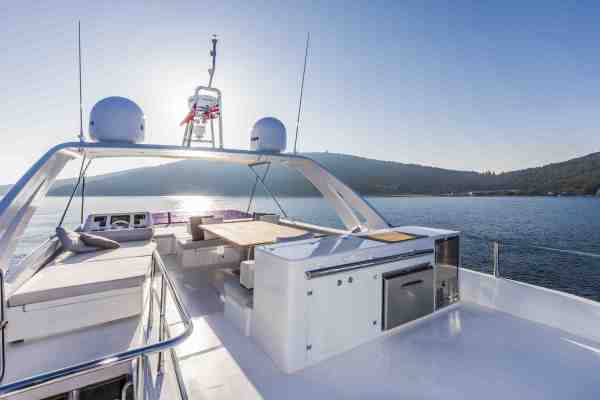 Onboard Numarine 70 Flybridge there are three fully en-suite guest cabins that include ‘split berths,’ which allow guests the flexibility to join or separate the twin beds. The full beam master cabin is more spacious than most yachts this size, and has walk-in wardrobes, dressing table, sofa, bathroom with a spacious walk-in shower and twin basins. The flybridge area of the yacht allows space for a crane and stowage of a tender or jetski. The Numarine 70 Flybridge is easy to control and requires no crew. The Numarine 70 Flybridge is designed to be agile and is easily manageable without the need of any crew. 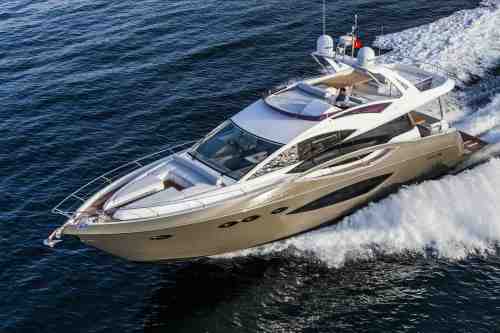 So, your time aboard this yacht will be your personal time to socialise and enjoy the seas as you will. To order the Numarine 70 Flybridge or to request for more information, please follow this link. Tagged Big Boys' Toys, LifeSpice, yachts. Bookmark the permalink.